At Brian Gale Surveyors, we have extensive experience working with numerous country houses and large rural estates. Our staff and Partners offer clients over 20 years of post-qualification expertise, carrying out detailed Building Surveys, specific defect analysis and providing customised maintenance schedules for stately homes and manors across Surrey, Sussex, London, Hampshire and Kent. Our RICS-accredited Chartered Surveyors attend a variety of property types, and know that even though an original mansion may date back to a particular period, many homes have been modified and extended over the centuries. In one case, we surveyed a manor house where the core building dated back to the 13th century but seven extensions had been added, with the last major portion being built in the 1920s – a true “historic jigsaw puzzle”. We have the experience and sensitivity to provide detailed reports for these buildings that have evolved over time, and your Country House report will include information about each separate section of the property as well as how they are interacting as a whole. Why should you have a Country House Survey? It is understandable that the owners of historic mansions often feel that, given how long their homes have stood for, it’s unlikely that there are any urgent issues within the structure. It may also seem that amid all of the other costs of maintaining a period building, a little money might be saved by forgoing a proper survey of the property. Unfortunately, both of these scenarios can give homeowners a false sense of security about the condition of their stately home, ultimately causing defects to go unnoticed and the cost of repair to accumulate over time. Having a Chartered Surveyor carry out a professional inspection of a property – particularly before a purchase, sale or renovation – is the most reliable way to identify causes for concern as early as possible. This then allows you to create an informed schedule and budget for maintenance, or to renegotiate a sale price with a vendor. What does a country house survey entail? 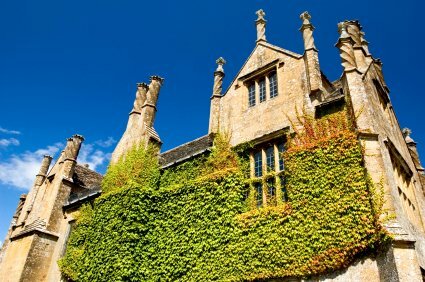 Every Country House Survey is tailored to meet the unique needs of each property and client. We often carry out inspections of just the main building on the property, although we can include grounds and outbuildings to provide a report on the entire estate, if you prefer. In both cases, we not only conduct a visual inspection of the structure itself, but investigate and test the services and utilities associated with the property. Our survey will include a comprehensive inspection of the internal and external areas of your property, including cottages, annexes, farm buildings and other structures as required. These may be dated to any period, from original historic buildings to new constructions, extensions or renovations. Our surveyors are prepared to deal with a wide range of building materials from traditional timbers to concrete and steel, including unconventional fabrics or asbestos-containing materials. At Brian Gale Surveyors, we have a longstanding relationship with reliable local contractors and specialist engineers, and we typically arrange for these experts to undertake testing of the services linked to the estate. Unless otherwise requested, your Country House Survey will include an inspection of gas, heating and drainage, including private drains, swimming pools, treatment plants etc. By choosing a Country House Survey with Brian Gale Surveyors, you’re ensuring that you receive the highest quality of care and attention, with a service completely tailored to the needs of you and your home. Our team of specialist Chartered Surveyors and friendly administrative staff will work flexibly to your schedule, keeping you informed and up to date at all stages of the process. To talk through your requirements and ask any questions you may have, call us today or send an email and we will respond as soon as possible. You can also download our free guide to undertaking a survey on a country property, simply complete the form on this page.